In 1815 William Cobbett, Major John Cartwright, Sir Francis Burdett and Henry 'Orator' Hunt were the most important figures in the Radical reform movement in Britain. 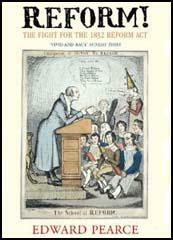 Whereas Cobbett had used his weekly journal, the Political Register, to advocate parliamentary reform, Cartwright, now in his seventies, concentrated on helping the formation of Hampten Clubs. Cartwright's ideas had a large impact on Manchester and by 1817 there were several Hampden Clubs in the area. However, it was Henry Hunt who had established himself as the most popular of the radical leaders in Lancashire. With the reputation as being the best public speaker in England, Hunt drew large crowds to meetings all over the country. Although from a privileged background, Hunt, was the acknowledged leader of working-class radicals. Major John Cartwright, Samuel Romilly and Murray Maxwell. Hunt had a large following in Manchester. A group of Hunt's supporters, including James Wroe, John Knight, Joseph Johnson and John Saxton, started the weekly newspaper, the Manchester Observer in 1818. Wroe became the newspaper's first editor and within twelve months the Manchester Observer was selling 4,000 copies a week. Although it started as a local paper, by 1819 it was sold in most of the large towns and cities in Britain. Henry Hunt called the Manchester Observer "the only newspaper in England that I know, fairly and honestly devoted to such reform as would give the people their whole rights." In March 1819, Joseph Johnson, John Knight and James Wroe formed the Patriotic Union Society. All the leading radicals in Manchester joined the organisation. Johnson was appointed secretary and Wroe became treasurer. 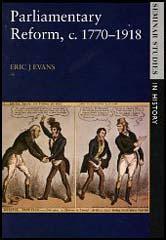 The main objective of this new organisation was to obtain parliamentary reform and during the summer of 1819 it decided to invite Major Cartwright, Henry Orator Hunt and Richard Carlile to speak at a public meeting in Manchester. The men were told that this was to be "a meeting of the county of Lancashire, than of Manchester alone. I think by good management the largest assembly may be procured that was ever seen in this country." Cartwright was unable to attend but Hunt and Carlile agreed and the meeting was arranged to take place at St. Peter's Field on 16th August. (1) Samuel Bamford met the three main leaders on the Radical reform movement at a meeting in London in 1815. He described the men his book Passage in the Life of a Radical. Major Cartwright was I suppose about seventy; rather above the common stature, straight for his age; thin, pale, and with an expression of countenance in which firmness and benignity were most predominant. I saw him walking up the room, in his long brown surtout and plain brown wig, and seating himself placidly in the head seat. A mild smile played on his features, as a simultaneous cheer burst from the meeting. Cobbett stood near Cartwright's right hand. I had not seen him before. Had I met him anywhere save in that room and on that occasion, I should have taken him for a gentleman farming his own broad estate. He was, I should suppose, not less than six feet in height; portly, with a fresh, clear, and round face, and a small grey eye, twinkling with good-humoured archness. He was dressed in a blue coat, yellow swansdown waistcoat, drab kersey small-clothes, and top boots. His hair was grey, and his cravat and linen were fine, and very white. In short, he was the perfect representation of what he always wished to be - an English gentleman farmer. Henry Hunt was a gentlemanly in his manner and attire, six feet and better in height, and extremely well formed. He was dressed in a blue lapelled coat, light waistcoat and kerseys, and topped boots. He wore his own hair; it was in moderate quantity and a little grey. His lips were delicately thin and receding. His eyes were blue or light grey - not very clear nor quick, but rather heavy; except as I afterwards had opportunities for observing, when he was excited in speaking; at which times they seemed to distend and protrude; and if he worked himself furious, as he sometimes would, they became blood-streaked, and almost started from their sockets. His voice was bellowing; his face swollen and flushed; his griped hand beat as if it were to pulverise; and his whole manner gave token of a painful energy. On the day when Parliament was opened, a number of the reformers met Hunt at Charing Cross. We were crowded around, and accompanied by a great multitude. Now it was that I behold Hunt in his element. He unrolled the petition, which was many yards in length, and it was carried on the heads of the crowd. He seemed to know almost every man of them, and his confidence in, and entire mastery over them, made him quite at ease. When they shouted "Hunt! Hunt! huzza!" his gratification was expressed by a stern smile. He might be likened to the genius of commotion, calling forth its elements, and controlling them at will.